Luxury custom home built by SB Iverson Custom Homes located on the golf course! Single level floor plan featuring panoramic view of golf course and lake. 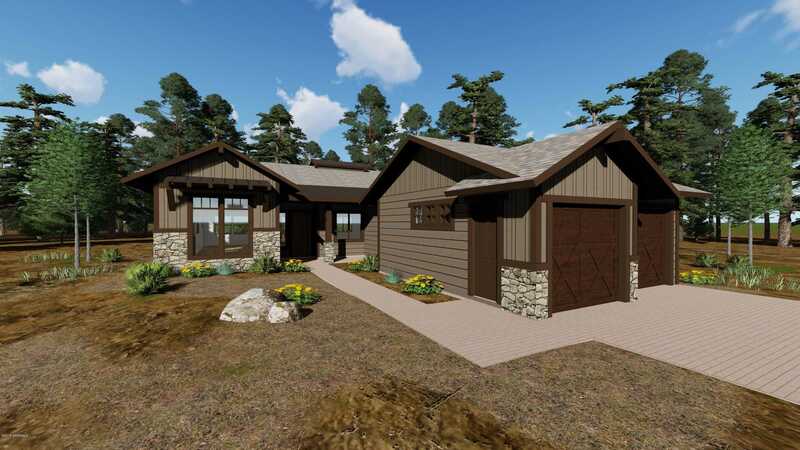 This home will have wood flooring, granite surfaces, upgraded stainless steel appliances, and many luxury finishes throughout along with exterior siding with stone accents! Call Steve for a list of amenities, additional floor plan options and available lots in inventory. See Documents for various floor plans. Please, send me more information on this property: MLS# 172910 – $739,800 – 4640 W Braided Rein, Flagstaff, AZ 86005.